How Do You Solve a Word Problem by Multiplying Binomials? Word problems allow you to see the real world uses of math! In this tutorial, learn how to find the area of a quilt using binomials as the measurement of each side. 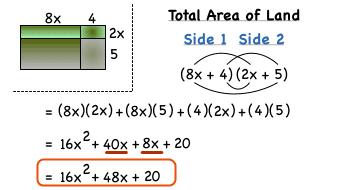 Use the FOIL method to multiply those binomials together and get your answer!